Yes, this is the end of GameMaker…well at least the end of official GameMaker Studio 1.X support. Worry not though, if you have GameMaker Studio 1.X it will continue to work as it always has and you can always jump onto the GameMaker Studio 2 platform which is the greatest sequel in the GameMaker software series to date. Indie Game Development has grown by leaps and bounds in the past years and GMS has played no small part in this so I wanted to give a quick reflection on some of the great titles that were produced using GMS 1.X to give us all one last round of nostalgia before fully embracing GMS 2. Yes, the game that effectively put GameMaker: Studio on the map as a game engine that can do “real” games. Undertale was successful through every phase: From Kickstarter (where it raised over 50K) to smashing record sales on Steam (over 1 million copies), a truly amazing and inspiring tale of what great game design and story combined with perseverance and hard work can really create. 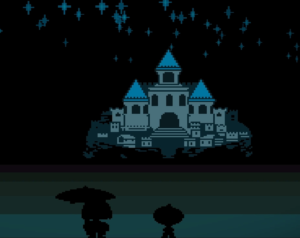 Even now, Undertale shows up in the news as one of the first games to be ported to the Nintendo Switch using GameMaker Studio 2, there is never a shortage of impressive accomplishments from Toby Fox. 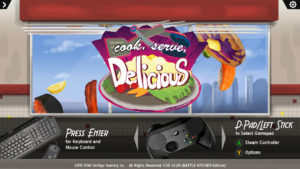 The game that combined arcade skills and food: Cook, Serve, Delicious is a true fan favorite game that had critical success on multiple platforms. A very specific niche type game but with addictive gameplay and great graphics helped to launch David Galindo into an instant star. Now, to be clear: CSD did not start out on GameMaker Studio but rather Game Maker 8 and the final version was converted to GMS which is lucky for all of us as it allowed CSD to be included in various HumbleBundle GameMaker Studio bundles that also came with the full source code for CSD. 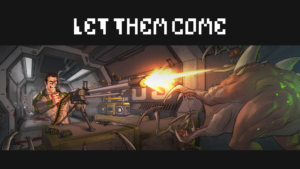 Let Them Come is a fan favorite [Made in GameMaker] game around here at GameMakerBlog and Klemen has done a terrific job on making his game fun and responding to player concerns. Spending over a solid year and a half on development, Let Them Come as unique technological innovations such as: Twitch stream integrations, amazing use of shaders and solid game modes. Released on an incredible amount of platforms (PC, MAC, Xbox One, PS4, iOS and Android!) it really re-enforces the strengths of GameMaker Studio’s ability to cross-compile across platforms for excellent portability. Combining tried and true gameplay from classics like Zelda: A Link to the Past and Diablo, Hyper Light Drifter is another success story through and through, championing a MASSIVE 645,000 dollars from over 24,000 backers on Kickstarter; it was clear that everyone could see the potential in this game. On a more technical front, Hyper Light Defender was responsible for helping find bugs in GameMaker Studio because of just how hard they were pushing the limits of the engine and to YoYo Games credit, every bug was met with priority fixing which not only helped push HLD forward but made sure any developers would not run into the same bugs. 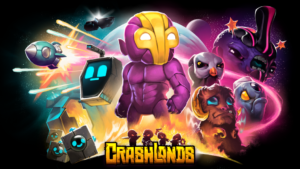 The collaboration between YoYo Games and Heart Machine shows just how community driven GameMaker Studio is and we can expect much more in the future. There are many hidden gems in the forum that might not ever be found otherwise and you might be surprised at how many Steam games are actually made in GameMaker Studio. 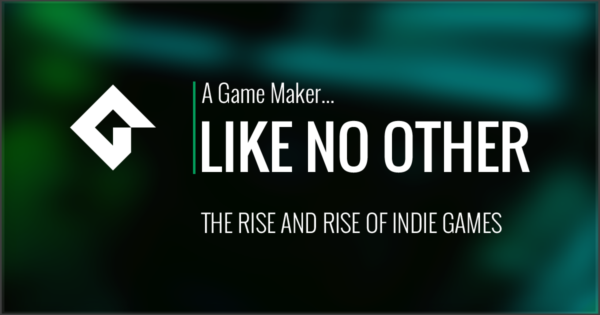 Also, if you ever want to give your game some attention, feel free to drop us a message on GameMakerBlog where we can create a feature and game page and show your game to all GameMaker fans. I’m sad to see the end of GMS 1.4.x but recognize the need for change. I bought 2.x but quite honestly it feels like it was really made for developers who were unsatisfied with 1.4.x rather than for people new to GMS. I say this comparing the tutorials available through the interface of each version. While the tuts in 1.4.x are more of a pain to install there’s a lot more content covering a lot more aspects of GMS than the tuts included with 2.x. Yes 2.x is still a new project, but the tutorials included really feel like they barely scratch the surface of GMS compared to all those tutorials in 1.4.x.